I was only five years old at the time. Medical Doctors told my parents I had severe scoliosis, which is a condition of abnormal curvature of the spine. Doctor after doctor tried to figure out what to do with me, how to help me. They said that I would probably not be able to walk by the time I reached my late teenage years. If I was to walk, it would be difficult with slow and deliberate movements My parents were faced with the decision of whether or not to choose surgery, which had a low rate of success, followed by wearing a rigid plastic back brace. With or without surgery, my parents were faced with a tough decision: cut their little boy or let him grow up awkward, possibly crippled. My parents did neither and took the advice of some close friends of the family. These friends suggest that my parents take me to a Chiropractor in Longmont, Colorado, which was three hours away from my hometown in Nebraska. I still remember the drive, to a 5-year old it seemed like forever. May Parents were very impressed by the Chiropractor’s knowledge. Soon after, I began receiving regular chiropractic adjustments. The end result was worth every minute. My spine was straight and strong. I went on to play high school athletics. My football and track abilities helped me earn a scholarship for college. I am still very active today. Everything I have accomplished I owe to chiropractic care, which literally saved my life. With my life restored, I can look back and see how my life has changed. 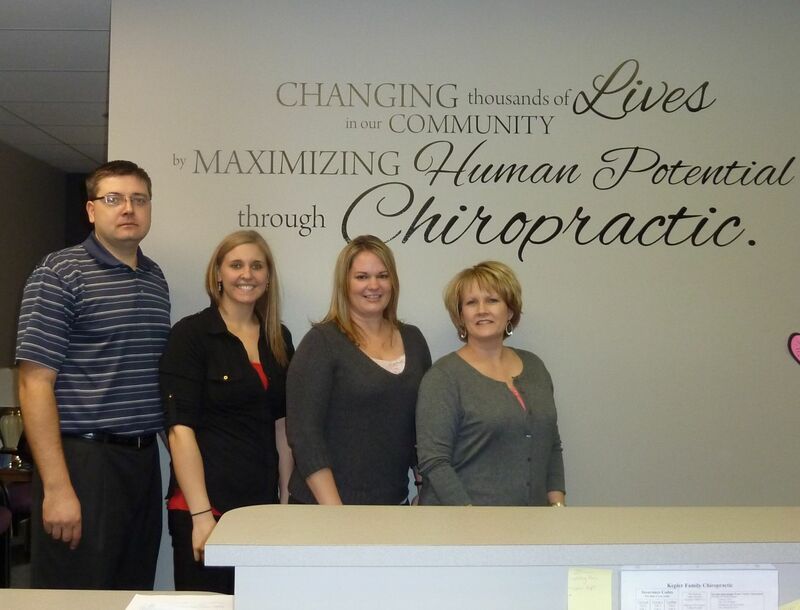 Naturally, I feel compelled to help other people through chiropractic care. Brianna is the newest member of Team Kepler as of May 2018. She is a recent graduate of Wayne State College. Brianna majored in Nutrition & Public Health as she has a passion for self-improvement and better health and understands that a healthy spine is the "backbone" to optimal health. Brianna is excited to begin her journey as a Chiropractic Assistant and in assisting others on their quest for improved health.